Tis the season of indulgence. Sometimes it is indulgence without any semblance of restraint. 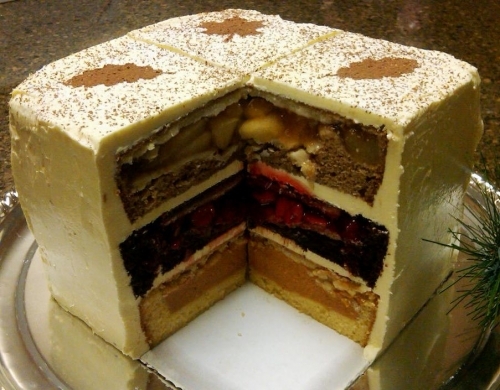 Case in point, the "Cherpumple" — a combination pumpkin, apple, and cherry pie framed in icing. 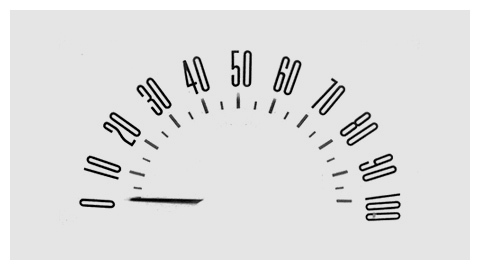 When it comes to business dashboards, the gauge chart is often a case of indulgence without restraint. It can be equal parts waste of valuable pixels, low information, and visually deceptive. It would be a lot smarter to use a bullet chart — but who wants to pick the the fruit plate for desert? 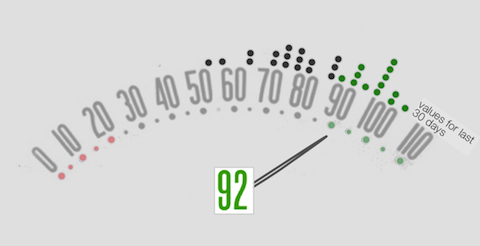 Gauges have undeniable appeal to dashboard designers everywhere. 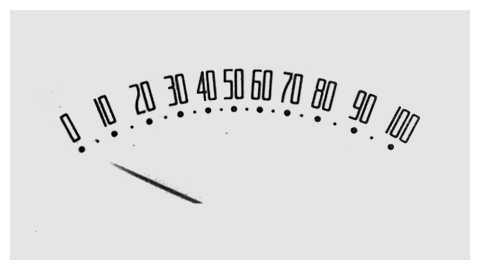 Perhaps it is the "skeuomorphism" of a gauge chart. That is, it borrows from the look of something we are familiar with as a way to make us feel comfortable or understand its purpose. In the past, I’ve fought the good fight against these charts. Now I'm resigned to the fact that eradication is impossible. If that's true, can we at least find some ways to make them better through design? 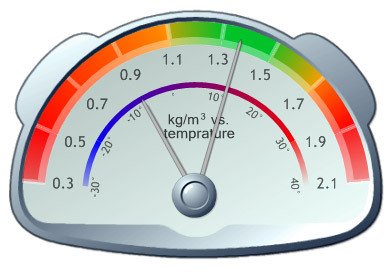 Tone down the brilliant sheen and high-contrast colors; turn up the information conveyed. Let’s take one of those designs, overlay a few necessary data elements, and see if we can create something worth looking at. While this chart is still far from efficient in its data-to-ink ratio, at least it communicates the small amount of information effectively. Any ideas for how to make it better? Newer PostPeople Love Beauty. A Dashboard Design Truth.